You actually have limitless options when you're in the market for a new car in New York, New Jersey, Connecticut or Pennsylvania. You could lease a vehicle from virtually any dealership. They'd be happy to help you - but the fact is, dealerships can't begin to offer you the same benefits as a a eAutoLease. That's because eAutoLease is second-to-none when it comes to variety and customer service. Choose from a large selection and get the most competitive prices available. eAutoLease takes pride in its no-pressure sales, unparalleled quality and customer satisfaction. The incredible convenience of shopping for your auto lease online is a sure-fire way to cut the stress of car shopping. The list goes on and on with few, if any, limits. You don't even have to settle for what's available in NYC because of the many connections the pros at eAutoLease have developed. You can drive the car you want without having to waste hours of frantic searching. And you can do it all right on your laptop, phone or any other device with an Internet connection. eAutoLease doesn't run a traditional car lot. It's that lack of overhead that's evident in your savings. Since your vehicle comes directly from the manufacturer, your eAutoLease Automotive Expert can negotiate the best possible deal for you. Because eAutoLease values your business, your experience and satisfaction is what matters most. They get you the best vehicle for the best price. You have access to Automotive Experts who are always ready to assist you with the purchase of your next vehicle. There aren't any pushy salesmen or hidden fees. eAutoLease encourages you to browse the inventory at your leisure. No pressure. Founder of the company eAutolease. Zoriy is a true entrepreneur, devoting himself to the business and always thinking ahead. 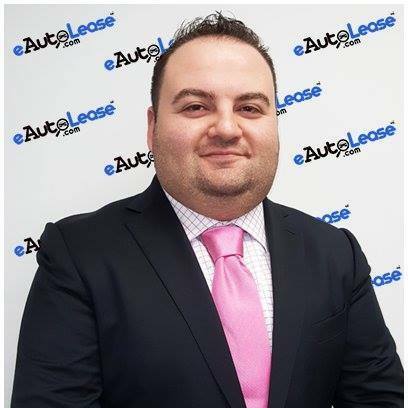 He says, "eAutoLease.com is the future and the just the tip of the iceberg to what the future holds." It's no coincidence that Zoriy came up with the idea for eAutoLease.com as he's a car nut who loves helping people - eAutoLease.com became the perfect fit. When he's not figuring out how to make his business better, he's spending quality time with his family. Zoriy has been liked by 0 people.